The American TFP > Fighting the Culture War > What’s the Matter with Facebook? At first glance, Facebook seems to be an incredible affirmation of individual self-esteem and social well-being. Here on one site, an individual can put online all those unique details, accomplishments and events that make the user so different from everyone else. At the same time, the user is free to share this unique profile with everyone by “friending” a world of people on the world’s most popular social networking site. That is the theory at least. In practice, it appears that Facebook is having an opposite effect. A recent study at Utah Valley University called “They Are Happier and Having Better Lives Than I am” reports that heavy use of Facebook is making users sad. Published online on December 2011 in the journal Cyberpsychology, Behavior and Social Networking, it found that people who socialize more with friends in cyberspace than in real life are more likely to report they are unhappy. 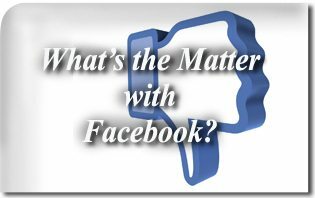 Why the sadness about Facebook? Because the postings on the site often do not correspond to reality. People tend to only portray the good or impressive side of their lives. Facebook photos generally depict smiling, cheerful people having good times, conveying a sense of intense happiness. People who constantly frequent Facebook are left with the impression that the intensive happiness of their “friends” is real and thus think their friends are much happier than they are. And they are sadder as a result. They feel compelled to put on their own show of happiness on their own pages and a vicious circle is begun where all seem to put up the items that impress or convey intense happiness. Sociologists Hui-Tzu Grace Chou and Nicholas Edge interviewed 425 students, asking them whether they agreed or disagreed with such statements as “Many of my friends have a better life than me,” and “Life is fair.” They also asked the students about their Facebook usage, including how many “friends” they had on the network – and how many of those friends were really people they knew. The problem may now become even worse since Facebook’s new Timeline profile system will give users even greater opportunities to look happier than they looked before. The Timeline Profile features a magazine-page like format with blown up pictures and highlights from Facebook members lives. The American Academy of Pediatrics has also noted the same lack of happiness with social networking. They are calling the new condition “Facebook Depression.” The disorder is precipitated by anxiety over status updates and checking out the virtual lives of others who appear happier on Facebook and Twitter. Seeing pictures of friends or rivals having fun or appearing intensely happy can cause distressing feelings of inadequacy in individuals with low self-esteem and trigger deep depression for some users. Far from affirming individuality and self-esteem, the social network user feels compelled to conform to an image that will please others. In such cases, social networking serves not to enhance a person’s social skills but rather leads the user to have fewer real friends and become immersed in a lonely, yet virtual, crowd.